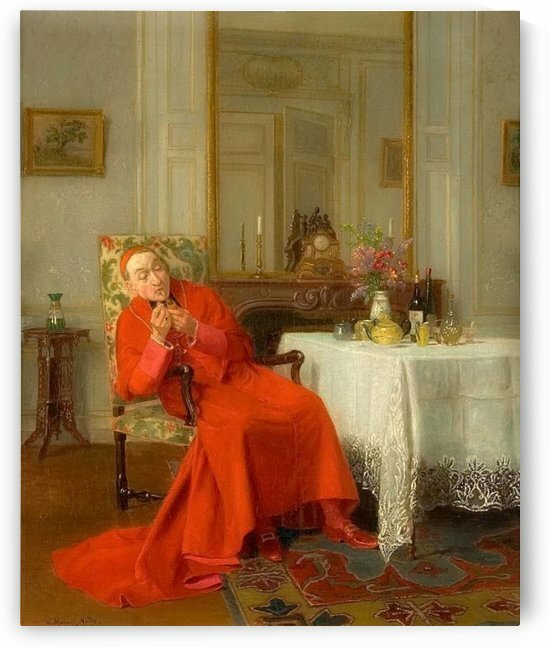 Victor Marais-Milton was a French artist, born in Puteaux, Hauts-de-Seine on 21st July 1872. 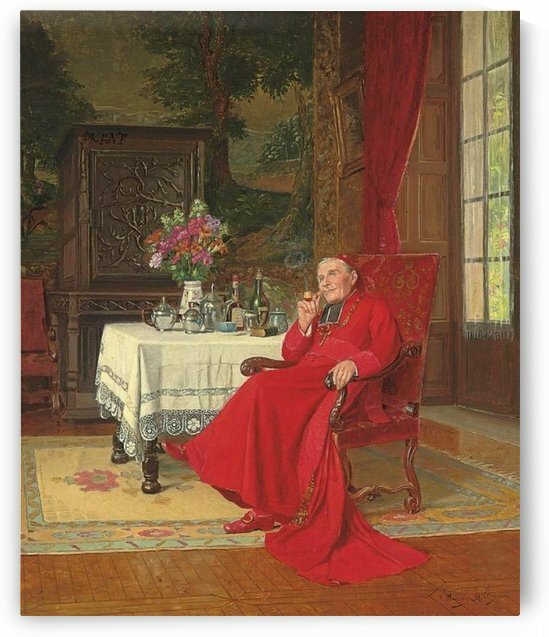 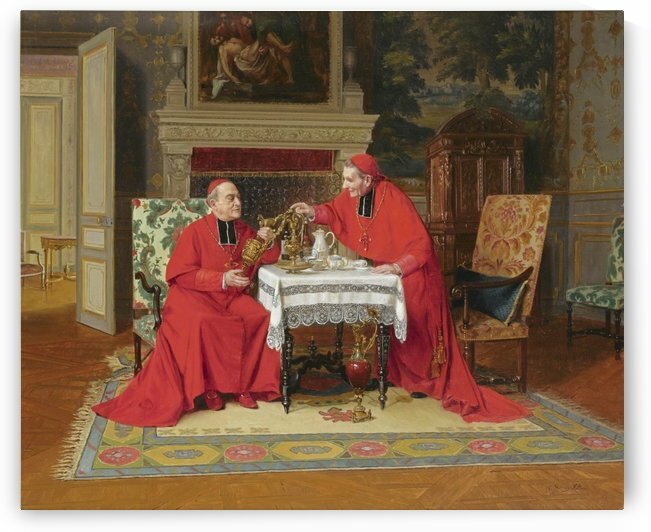 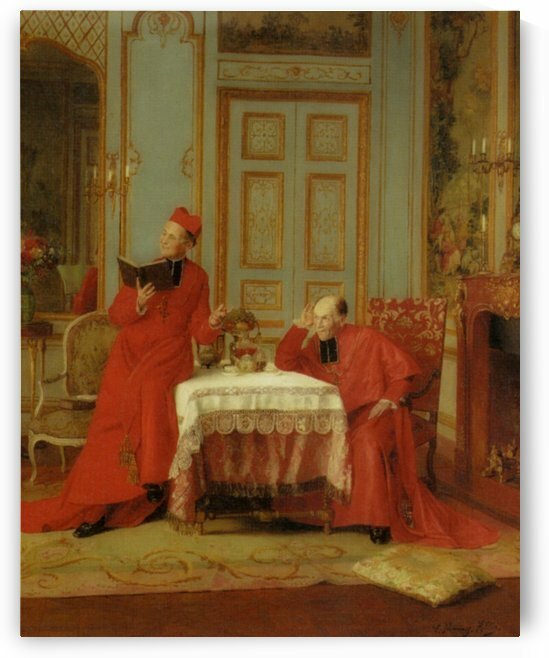 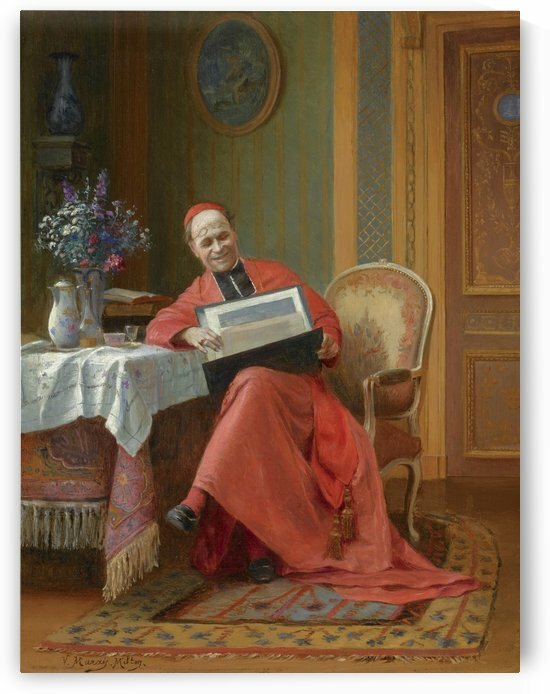 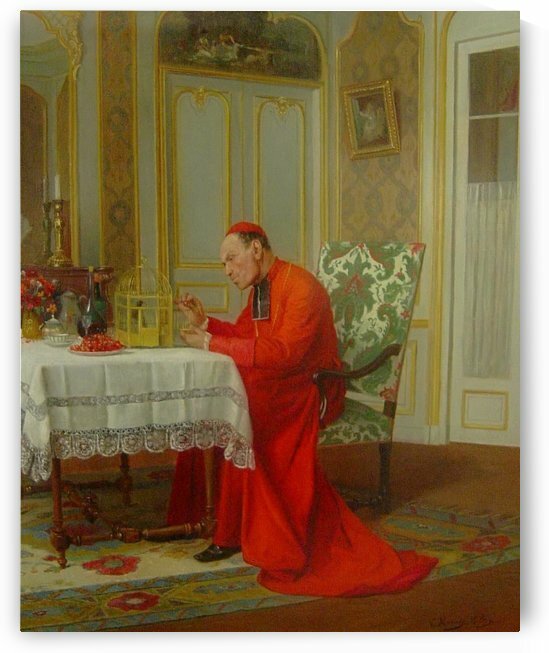 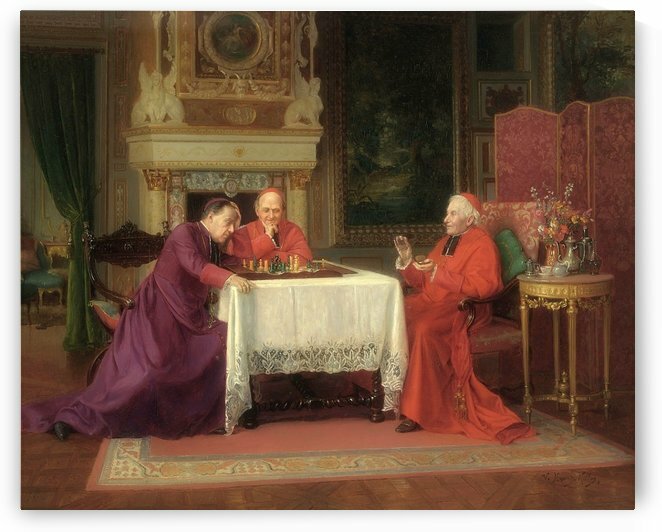 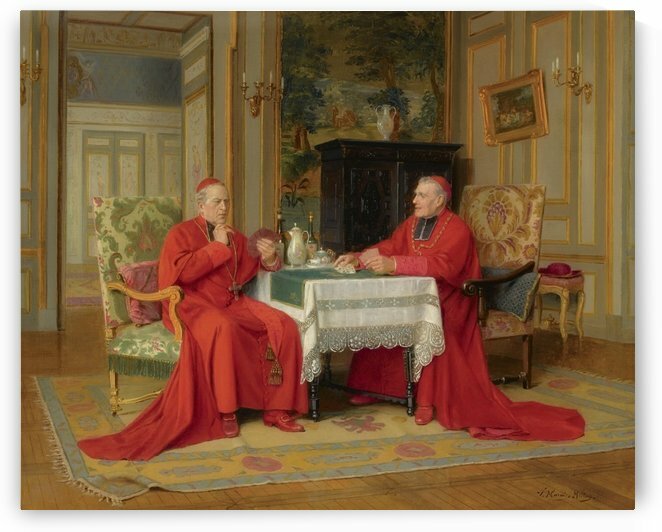 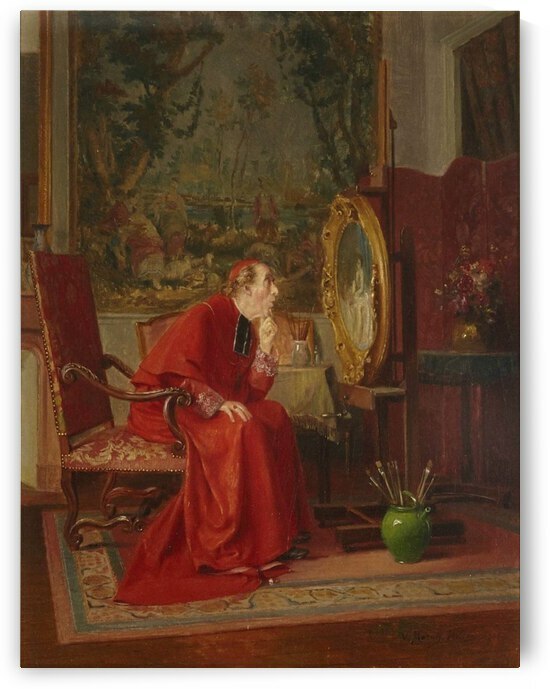 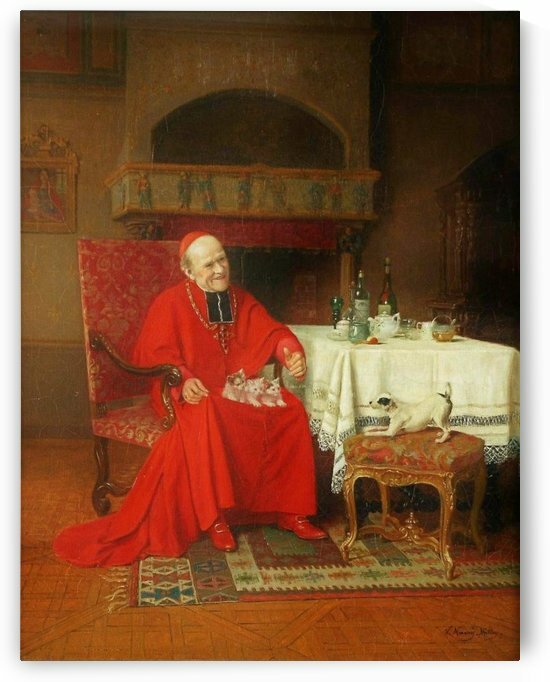 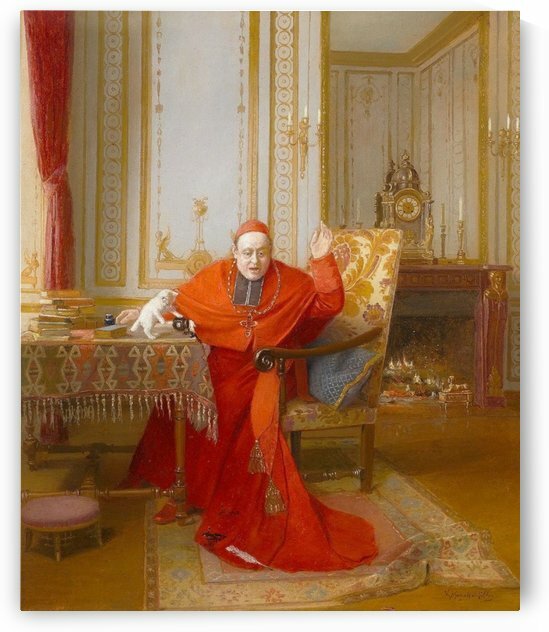 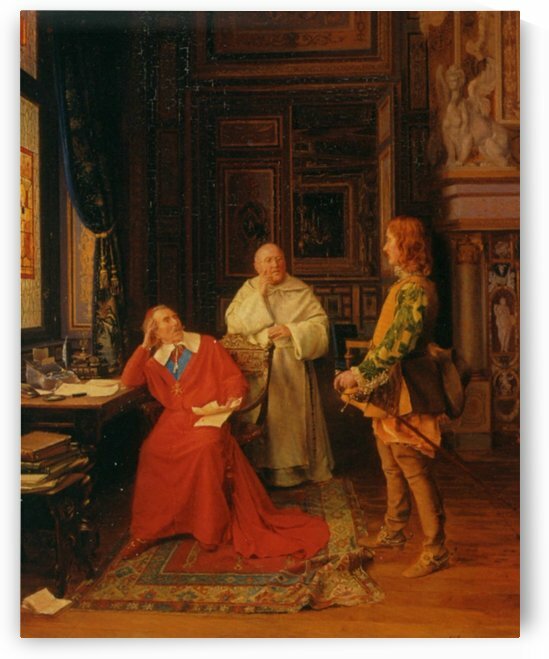 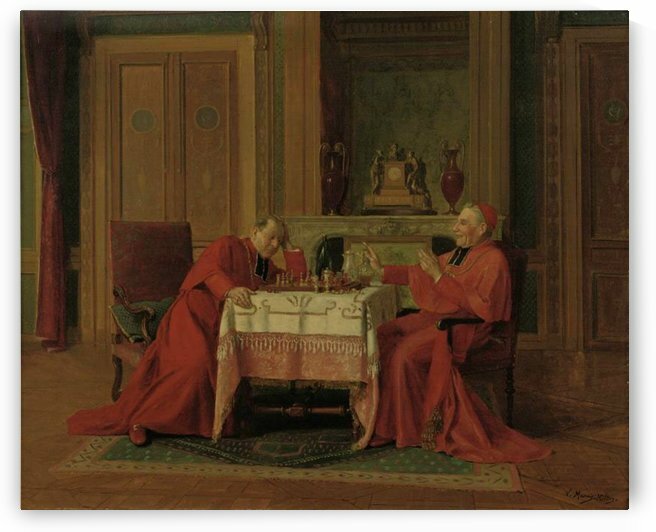 Marais-Miltons work mainly featured figure subjects and genre themes often incorporating Cardinals and Clerical figures in situations which gently, yet poignantly point an ironical finger at their role and function in the church. 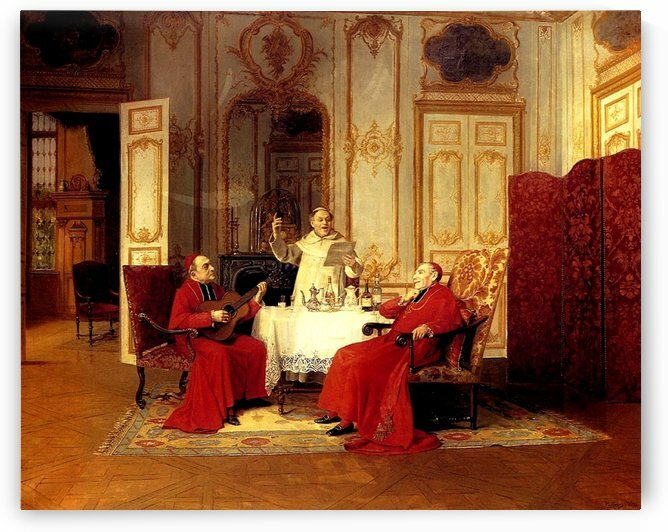 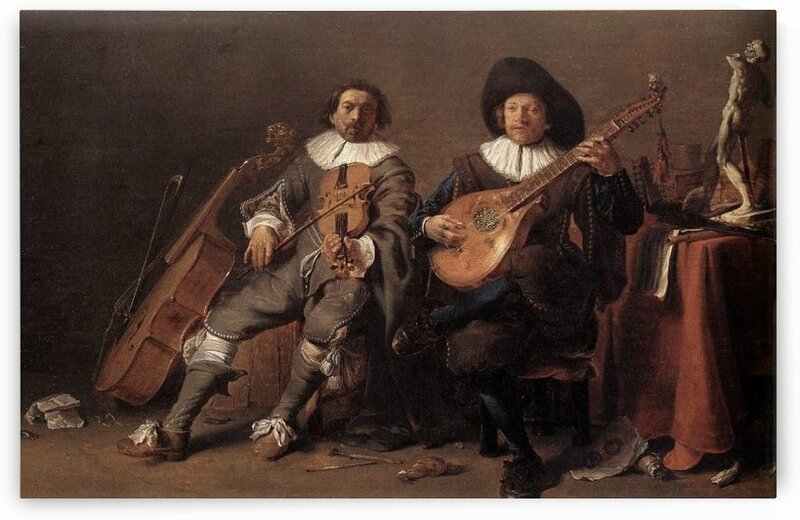 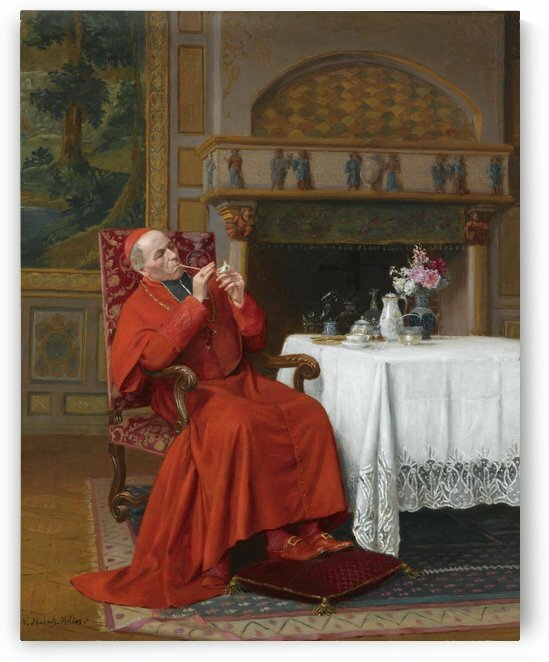 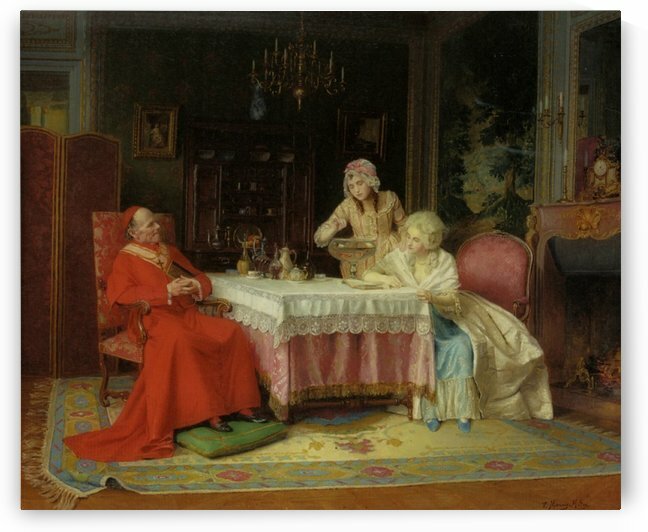 The Bishops, Prelates and Cardinals in there vivid and wonderfully picturesque scarlet are often portrayed in recreational settings, idling their time away playing musical instruments and singing. 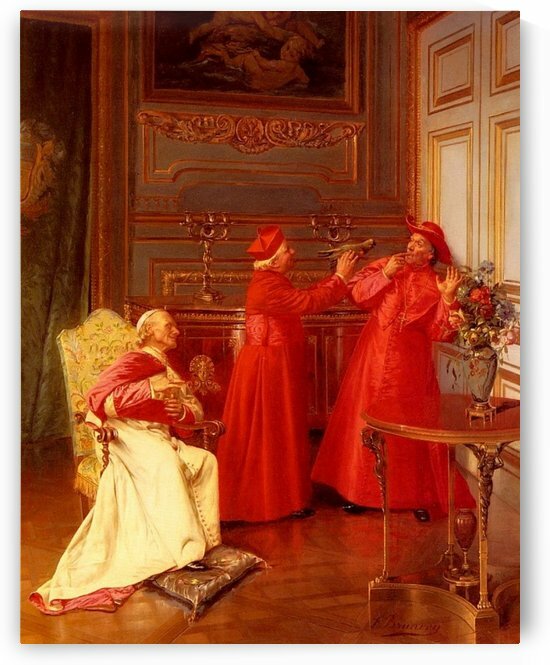 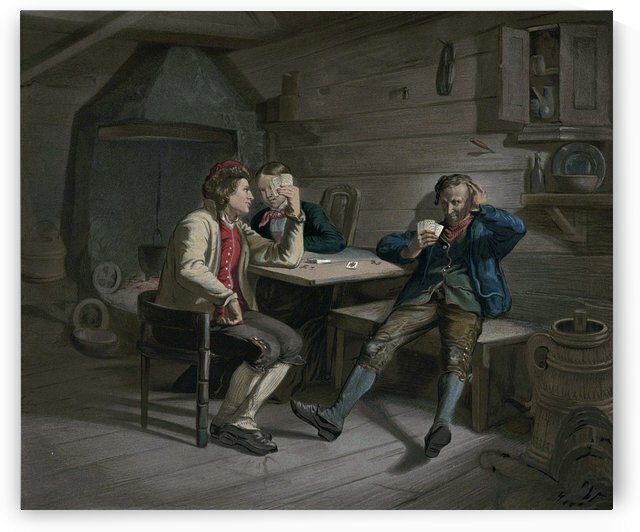 However Marais-Milton did not offend with such subjects, indeed his humour is so subtle he went on to win several prizes with similar themes. 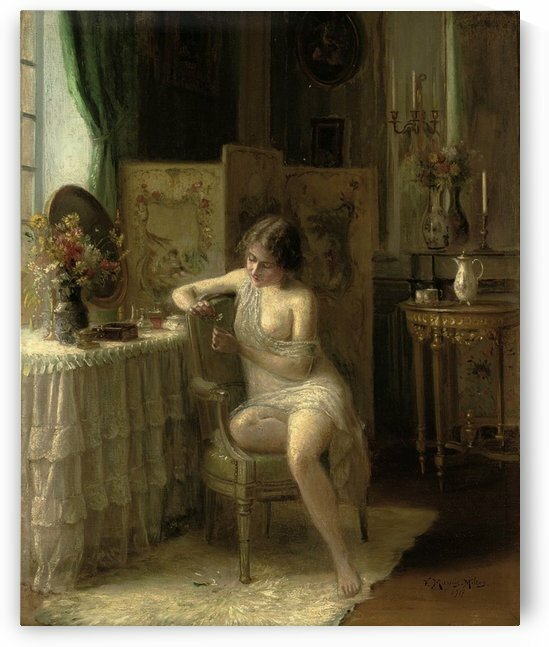 He was a member of the Salon of French Artists where he actively exhibited his work from 1892.